If food was music, this right here would be our summer anthem, friends. Behold my favorite kind of meal, right here…in every way, shape and form! It’s going on repeat..like once a week for sure. 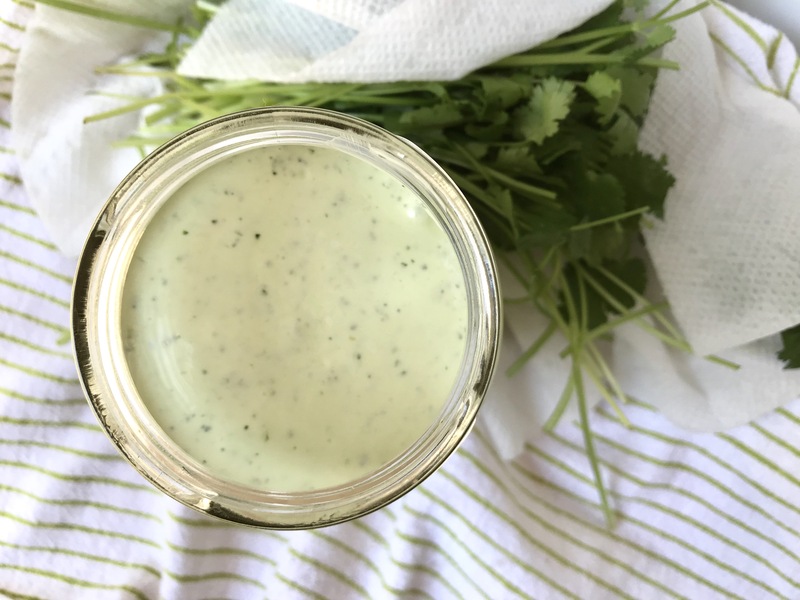 The Cilantro Sauce may be used as a meal in itself, with a spoon…you totally have my okay to do that. Pure, unabandoned flavor is all that I can say with this stuff. It takes any ordinary meal off that charts. It’s zingy, creamy, and so fresh tasting…we just love it so much! 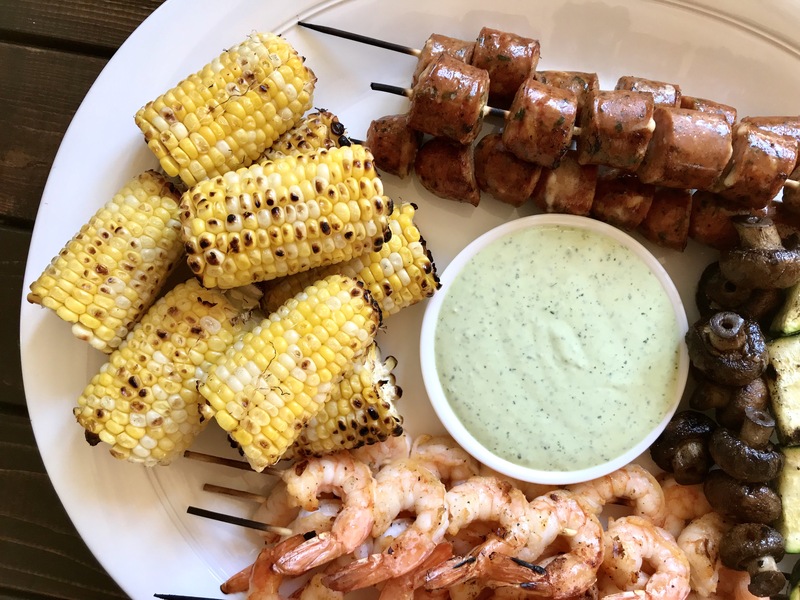 And then, just throw skewers of whatever you love on the grill and you’ll have yourself a match made in heaven. 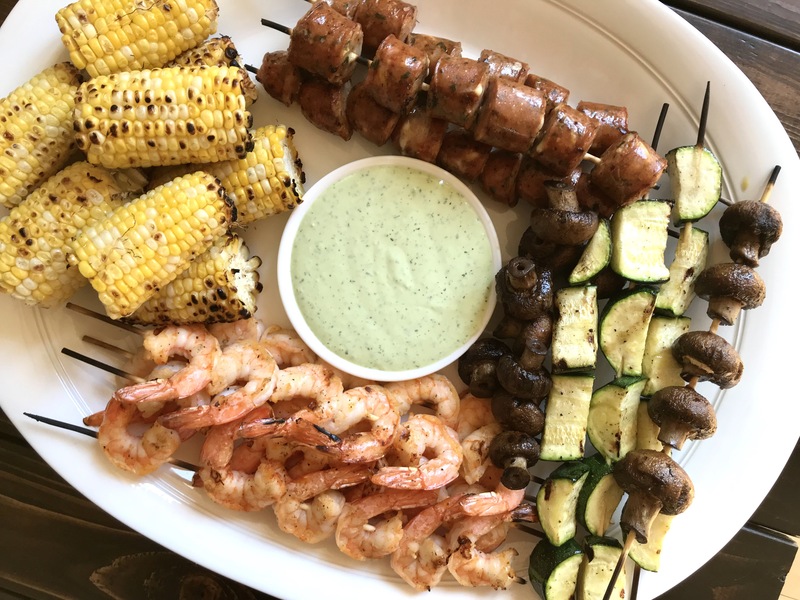 We used shrimp, Italian chicken sausage, mushrooms, zucchini and corn and we all went nuts…..
but you could also use red bell pepper, chicken breasts or thighs, chorizo, asparagus…the options are endless! I truly couldn’t think of a better way to eat well (and easy) this time of year. Perfect and quick enough for an ordinary weeknight but impressive enough to serve for a gathering. This is a must-make! Place first seven ingredients in the bowl of a blender and process until everything is chopped up. With the motor running stream in olive oil and process until the mixture is smooth. Can be made ahead and stored in the refrigerator for two days. If using wooden skewers, soak them in water for 30 minutes prior to grilling. Preheat grill over medium high heat. Drizzle all of the ingredients with olive oil and season liberally with salt and black pepper. 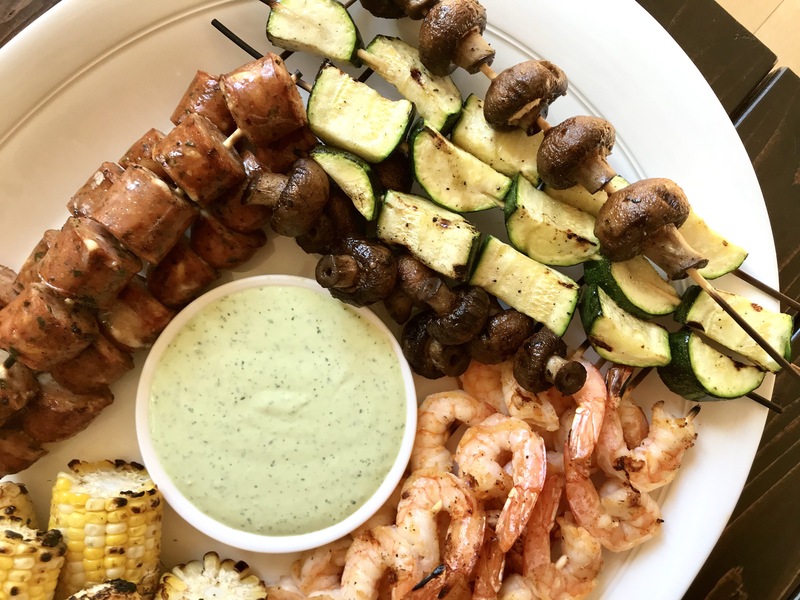 Place shrimp, sausage, zucchini and mushrooms on skewers. Place skewers on the grill and cook until grill marks have formed, flipping over halfway between cooking, about 3-5 minutes per side. Place corn directly on the grill and cook, turning often, until lightly browned. Reblogged this on My Meals are on Wheels .